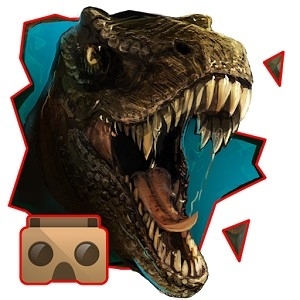 Welcome in VR Jurassic - Dino Cardboard Park Simulator! Three different modes gives you guarantee of ultimate experience. They gives you opportunity to spend lot of time in this 360 jurassic production. 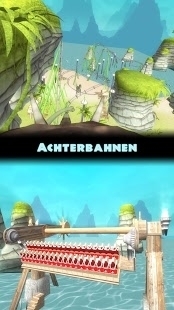 All modes can be played in 3D and Virtual Reality mode for Cardboard and VR-BOX. Theme park mode allow you to explore jurassic dino Zoo. No limitation, you decide where you want to walk and what kind of dinosaur to meet. The dream comes true. You can stay beside one of the biggest dinosaurs closer than ever! In Movie mode you found Episode 1 of the island history. Somethings goes wrong. Go and find what happened. Check out StegoRide and Brachio Bench. This are pretty big and fast roller coasters. Watch out they can be really sweep off your feet. Not all people can ride on real roller coaster so the same will be in virtual reality! 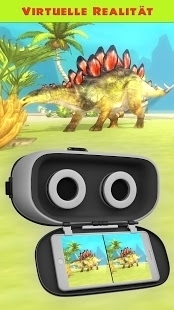 VR Jurassic - Dino Park Simulator is like a 360 time machine in our world. But more safely! Dinosaurs was bigger and more dangerous then animals from our world. Now you can meet deadly creatures like T Rex or Spinosaurus with no harm on your life. Survive this adventure in one of the forgotten island. 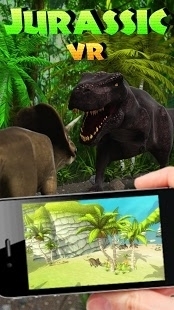 You can take this prehistoric world in your pocket and show friends almost everywhere. In update we will give you Pteranodon and Compsognathus so stay tuned. To use Virtual Reality you need Cardboard or VR-BOX for device. Remember that Virtual Reality didn't work on all devices its many reason for that. Devices with 7 inch or more can run only 3D mode.